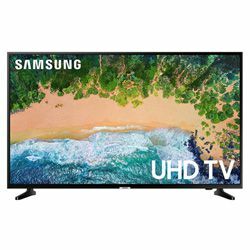 Samsung UN65NU6900FXZA vs LG 65UK6300PUE – what is the best option for you? I had an opportunity to test Samsung UN65NU6900FXZA vs LG 65UK6300PUE. The model from Samsung belongs to the NU6900 series, while the LG model is from the UK630 series. Both TVs are 2018 models, if we compare LG 65UK6300PUE vs Samsung UN65NU6900FXZA in terms of the backlight technology used, we will see, that Samsung uses the Edge LED with the VA display type while LG uses the Direct LED technology with the IPS display. These TVs belong to the mid-range price category. It may cost you around $800. Both models support the modern video standard – 4K with the high refresh rate of 120 Hz. If we compare various video enhancement technologies, then we will see that both manufacturers use numerous technologies to enhance colors, like the Essential contrast technology from Samsung, and the LG tone mapping technology. These TV models have wireless modules that allow you to use various online services. 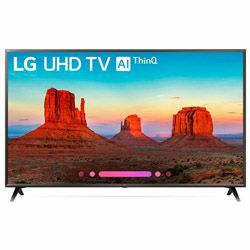 The LG model supports the WebOS Smart TV, LG AI ThinQ (it requires a Magic Remote, which is not included). It is compatible with Amazon Alexa and Google Home features. The model from Samsung has the universal guide technology that allows you to find the content you want. The SmartThings application allows you to control the TV and all devices connected to it. This TV also has a clean cable solution feature. Both models have a modern design. They have very stable stands on both sides (y-shaped, around 2-3 in high). The Samsung dimensions are 57.4x12.5x34.9 in and the LG dimensions are 57.8x10.6x36.1 in (with the stand). Both models can be wall mounted. LG has 3 HDMI ports versus 2 HDMI ports that Samsung features. Both models are provided with ergonomic remote controllers. The image quality is very high and the built-in speakers are powerful enough. Many features that make the output image better. The build quality very high – nothing shakes, ports assure a stable connection. The TV comes with preloaded apps with the advertisement that cannot be removed. The UI is not performing well (it is slow and clunky). The image quality is very high – no blurring, colors are vivid, you can notice even the smallest detail. It establishes a stable connection via the wireless protocol. The built-in speakers are not powerful enough, so you need an extra solution. The sling application may freeze the TV.